 Pop’s Sunset Grill is more than a place to eat and drink. We are a locally-owned establishment that strives to be a responsible community partner and our laid-back vibe is representative of the central Gulf Coast region. With an average of 252 sunny days per year, being outdoors is an essential facet of life in Nokomis. In addition to visiting Pop’s, Sarasota County is bursting with possibilities, from long walks on a sun kissed beach to adventurous water activities, and a little local knowledge can be helpful. .
Casey Key is the closest barrier island to Pop's Sunset Grill and plays host to some of the best sunsets in the world. The Casey Key Conservation Act of 1970 designated the island as a marine and wildlife sanctuary, thus it is a safe haven for many species including sea turtles. There are several miles of unspoiled beaches, including two public beaches (Nokomis Beach and North Jetty Park) which are safe for swimming and snorkeling. Most of Casey Key is residential, but there are a number of beach motels, hotels and vacation homes which provide the entrée to a quiet, relaxing vacation. 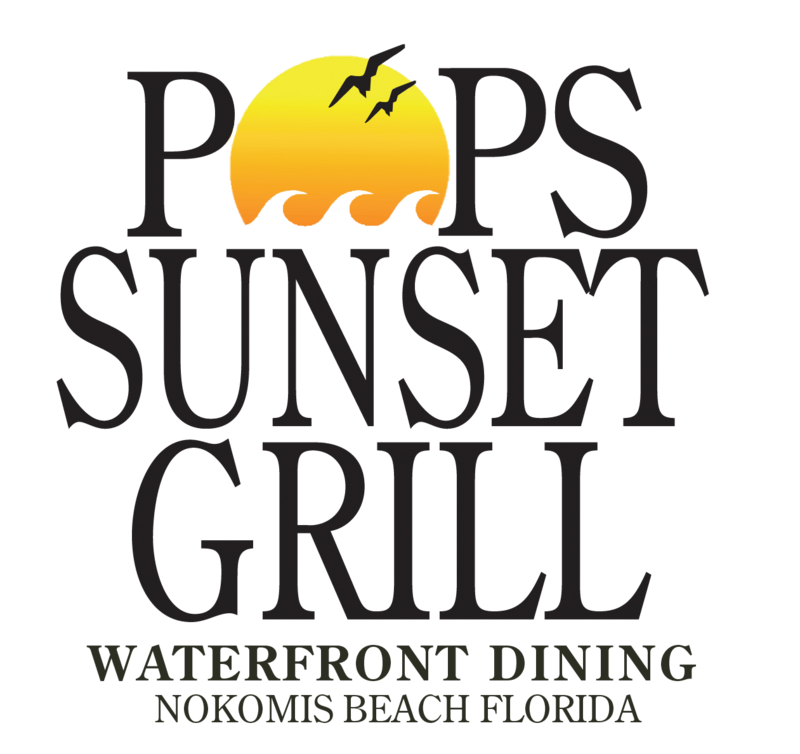 Immediately on the other side of the Albee Road Bridge and Intracoastal Waterway (ICW) from Pop’s, Nokomis Beach is a family-friendly beach that is open to the public and harkens back to earlier times. The beach has ample open space, a boat-launching ramp, myriad of wildlife to observe and is, in our opinion, the best beach along the Gulf to hunt for seashells. At the southern tip of Casey Key, North Jetty Park offers white sand beaches as well as a tree lined park to enjoy. It’s located next to the Venice Jetty (a.k.a. Casey’s Pass), which is one of the few channels from the Intracoastal to the Gulf of Mexico. As a result, boat watching and fishing are two highly recommended activities for North Jetty Park. Venice Beach Within walking distance of downtown Venice and is a shark tooth hunter's paradise. Turtle Beach Located at the southern end of Siesta Key, just north of Casey Key, and known for being the home to an abundance of sea turtle nests and an array of water activities like kayaking and paddle boarding. Siesta Key Beach The next patch of sand north of Turtle Beach and consistently near the top rankings of best beaches in the United States due to its soft, white sand that is 99% pure quartz, which keeps the sand cool under your feet. We are proud members of the Sarasota-Manatee Originals. As a group of locally owned restaurants who share a passion for dining excellence and commitment to our community. Our next door neighbors provide a wide variety of high-quality boats, jet skis, and kayaks. They take pride in the affordability of their rentals and outstanding customer service. Cool Breeze also offers sunset tours with licensed captains. Call (941) 485-3333 to book your tour or check out the Cool Breeze Boats & Jet Ski Rentals website for more information. Grab your friends and get ready for an adventure! Tiki Taxi is a great way to experience the Intracoastal and do the Tiki Hop. And no Tiki Hop is complete without a stop at the Intracoastal's most impressive tiki - Pop's Tiki Bar - for a tasty meal or refreshing beverage. Call Captain Eric at (941) 400-2331 to book your spot today! Sit back, relax and enjoy your stress-free mini cruise. Casey Key Water Taxi's licensed captains will take you anywhere down the Intracoastal Waterway and will dock at Pop's for a meal or an adult beverage or two. Florida Beach Bar is your guide to discovering many of the best Florida beach bars. Whether you are vacationing or lucky enough to call Florida your home, their goal is to inspire people looking for adventure. Florida Beach Bar celebrates the history, people, music, food, and drinks that contribute to the charm found in a great Florida beach bar.